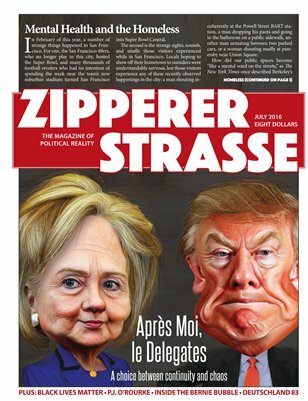 In the inaugural issue of political magazine Zippererstrasse, we set out to ruffle some feathers by looking critically at everyone. Liberals, conservatives, and even those people who claim to be neither. Inside the mental health-homeless crisis, Japan's fateful 1941, interviews with P.J. O'Rourke and Dr. James Taylor, book and TV reviews, and more.